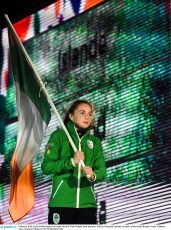 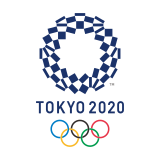 The Olympic Federation of Ireland is delighted to announce that gymnast, Galway’s Emma Slevin will be Ireland’s flag bearer at the Parade of Nations during the Opening Ceremony of the Youth Olympic Games in Buenos Aires on Saturday, 06 October. 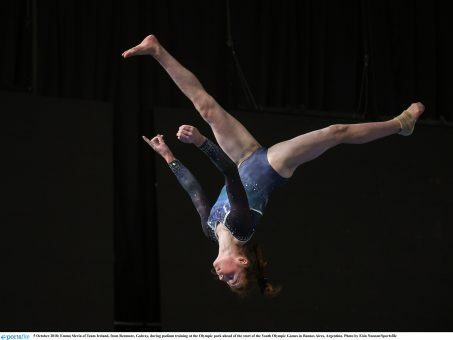 Emma, who competed as part of Team Ireland at the European Youth Olympics Festival back in 2017 is Ireland’s first ever gymnast to compete at the Youth Olympic Games will lead a team of 16 Irish athletes into the Parade of Nations. 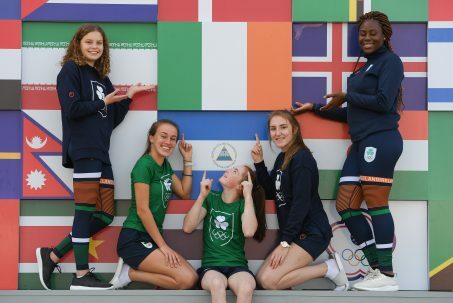 Team Ireland will swing into action at the 2018 Youth Olympic Games on Sunday, 07 October with Nhat Nguyen from Dublin leading the Irish into competition as he takes to the badminton court at 9am (GMT: 13:00) on Sunday Morning for the Group Play Stage of the tournament. 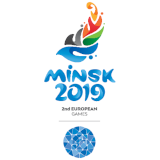 Dublin’s Niamh Coyne and Sligo’s Mona McSharry will dive into competition in the Women’s 50m Breaststroke from 10am (GMT: 14:00) while Glaway native Emma Slevin takes to the floor at 2pm (GMT: 18:00) for the Women’s Floor Gymnastics competition.